After a rather rocky launch, the GoPro Karma is back on sale today. GoPro unfortunately had to stop sales of the Karma right before the holidays as a defect allowed the drones to lose power in flight. But now that this issue has been corrected, it's time to see if the GoPro Karma might be your new drone of choice. The Karma can attach to any of GoPro's Hero5 cameras and comes available as a kit with the Hero 5 Black for $1099. With this combination, the result is very high quality video up to 4k and 30fps. 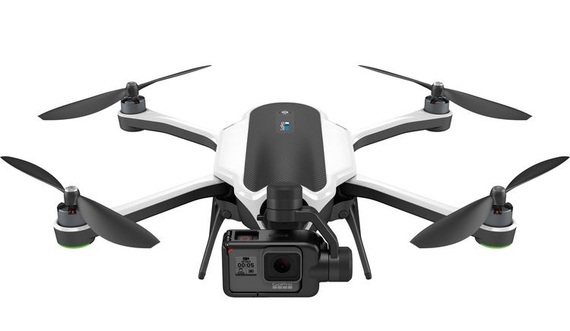 The real advantage however is for those who already own GoPro cameras and can purchase the drone alone for only $799. At this price, having the quality of the Hero5 on a fairly portable drone is a no brainer. It's closest competitor, the DJI Mavic Pro costs $999 and doesn't have the option of using your own camera. Another benefit for current Hero owners is the optional grip which allows you to use your Hero5 as a 3 axis handheld gimbal.